What do you know about nationalism as well as National? Okay, let me describe it. National refers to typical of the people or customs of a particular country or a nation. And Nationalism is the passion for the political freedom of people who believe they are historically or culturally a separate society within a country. Anyway, the subject of the articles is not actually nationalism or national? The subject is about delicious national food. Every nation has some symbols of their own such as national flag, national animals, national museum and so on. Like all the national symbols national food is one of them. Mostly all country has its national food, an iconic meal that is the most widely eaten thing within its boundaries. National foods are a part of a nation’s identity and culture and also a popular theme of international guests. Just think in yourself, when you go outside your borders, you constantly want to feel the most famous dish in the visited country, don’t you? However, here are some Top 20 Most Delicious National Food In The World. Hope you will be enjoyed it so much. Wiener Schnitzel is the most popular and well-known Viennese as well as Austrian national food. The tasty national food of Austria is made of slightly tenderized veal tenderloin, slightly salted, and rolled in flour, flogged eggs, and bread crumbs. The food is culturally served with potato salad, cucumber salad, parsley potatoes, French fries, roasted potatoes as well as garnished with a slice of lemon. Do you know where Barbados situated? It is an island in the Lesser Antilles of the West Indies in North America. It has several popular native fish such as kingfish, tuna, barracuda, red snapper and so on, but they are praised as ‘The Land of the Flying Fish’ and this kind of fish even gained it to the national dish of Barbados, the meal called Cou-cou and flying fish. 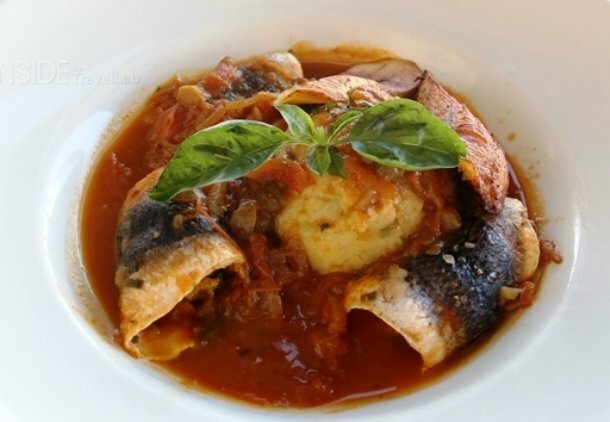 Cou-cou consists chiefly of corn flour and ochroes. The flying fish is normally cooked fried. 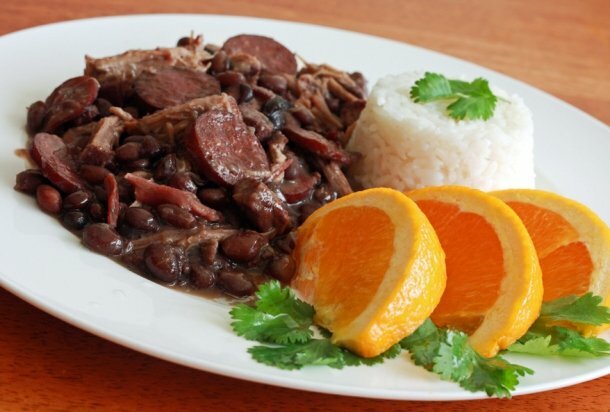 The Brazilian national food, feijoada is made of black beans, a kind of pork, beef products, such as pork trimmings, bacon, smoked pork ribs, and at least two types of smoked sausage and jerked beef. The food is conventional to serve it with white rice and oranges, the end to help with digestion. The Poutine is the popular Canadian dish which is originated in Quebec in the late 1950s. The national food made with French fries and coated with a light brown gravy-like sauce and cheese curds. Though the primary method is very simple, there are many varieties of Poutine. 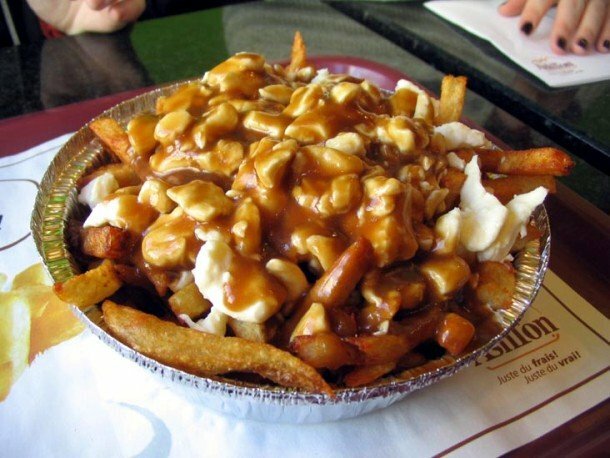 Some of the Canadian restaurants allow Poutine with such toppings as chicken, bacon, and Montreal-style prepared meat, three-pepper sauce, sometimes caviar and truffle. Peking Duck is one of the most popular recipes in the capital city China. And regarded as one of the most iconic Chinese meals. The crispy duck meat is served with scallion, sweet bean sauce, cucumber, and thin pancakes. Sometimes, a little bowl of spicy sauce such as Hoisin sauce can be combined to the main plate. Svickova is the national recipe in the Czech Republic. 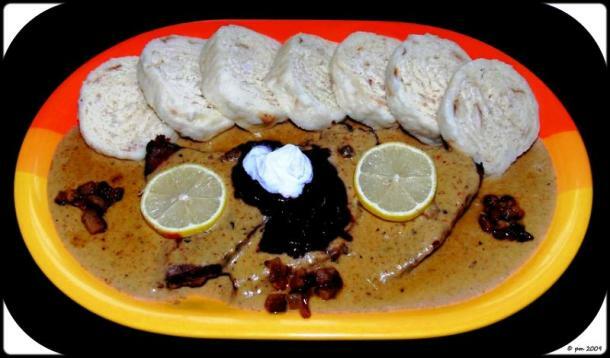 It is usually a beef sirloin with creamy vegetable sauce and bread dumplings. The national delicious food is sometimes served with lemon slices and cranberries as a garnish. 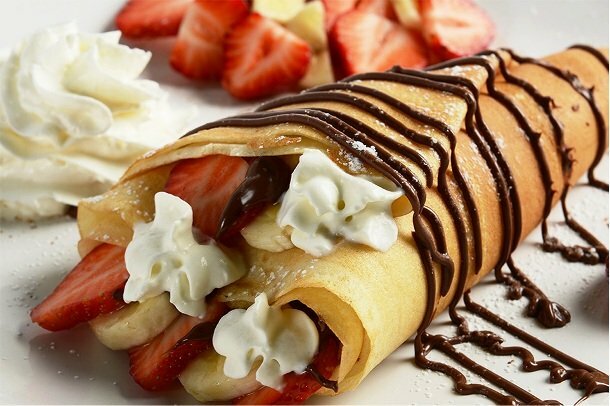 The Crepe is a sort of very thin sweet pancake, usually made from wheat flour. The named of the food is derived from the Latin word ‘crispa’. 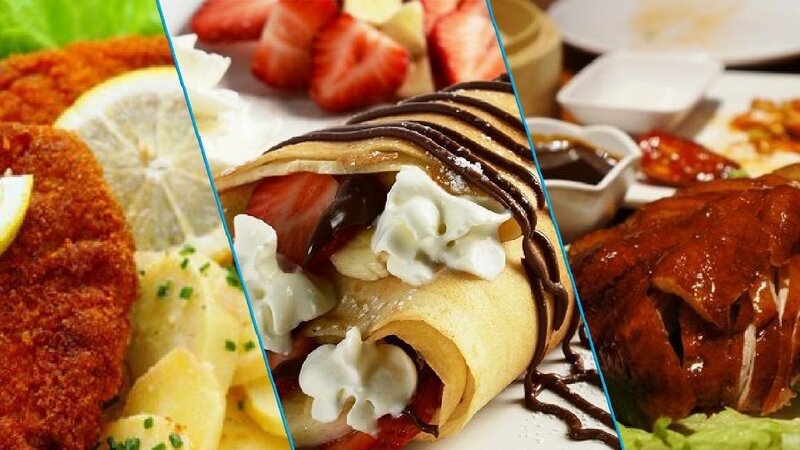 Crepes are served with a mixture of fillings, they can be both sweet and salty. Greece is a land which is home to numerous popular foods such as Fasolada, Moussaka, Tzatziki etc, but Souvlaki is usually regarded as the most iconic food of the country. 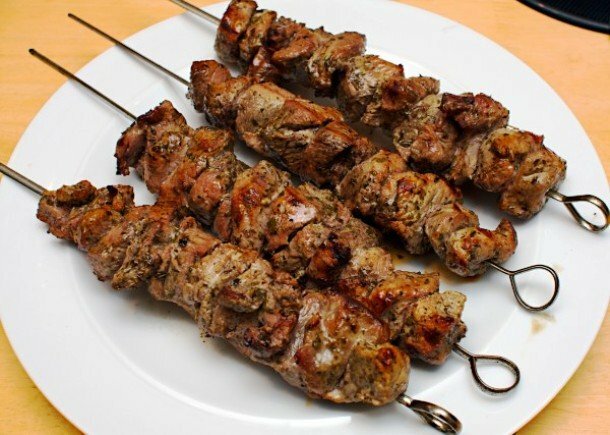 The popular Greek fast food made of tiny pieces of meat and sometimes vegetables grilled on a skewer. The food is normally made from pork, though chicken and lamb may also be used a little bit. 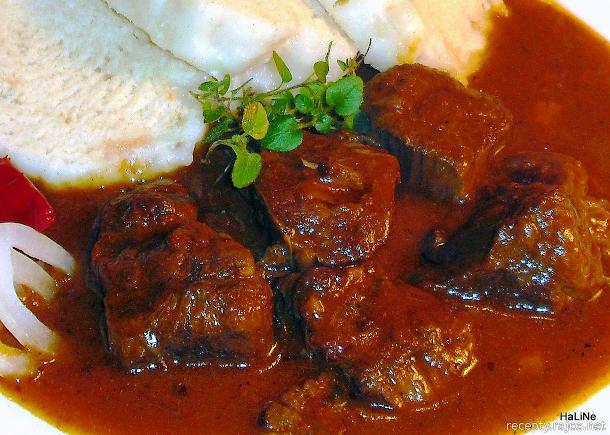 The Goulash converted a national dish of Hungary in the late 1800s when Hungarians attempted symbols of national identity to differentiate themselves from their allies in the Austro-Hungarian Empire. After sometimes the meal spread to Central Europe, Scandinavia, and Southern Europe. However, the food is like a soup which was made of beef and vegetables, lavishly seasoned with pepper and other flavorings. 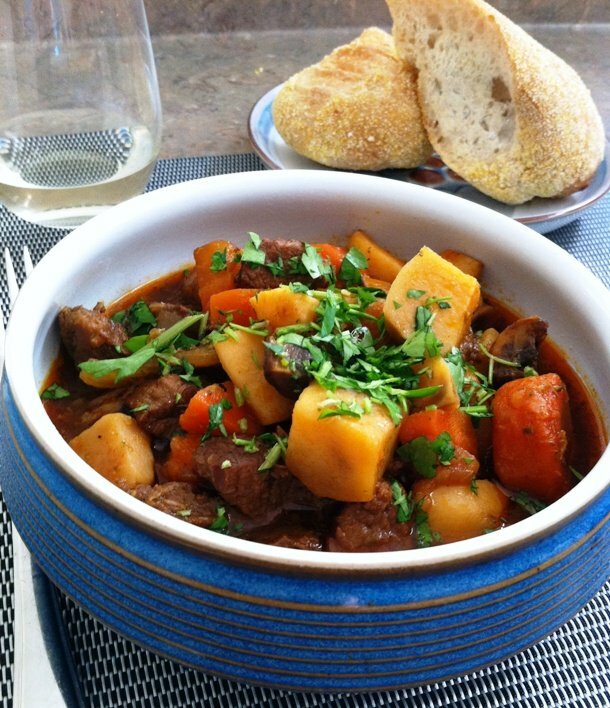 Irish Stew was first identified as early as about 1800. It is one of the most traditional meal of the country and a staple of Irish bars global. The food is made of a thick broth of slow-boiled mutton with onions, potatoes, and parsley. It now combines other vegetables too. 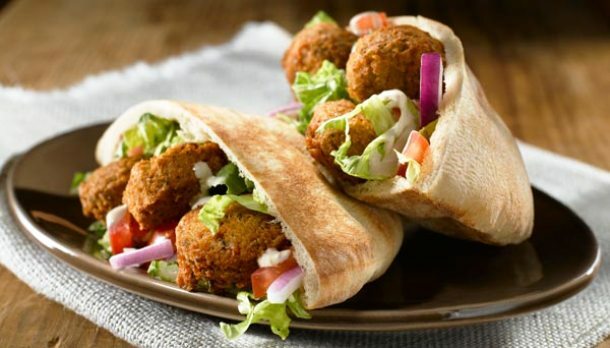 Falafel is a deep-fried ball which is consists of ground chickpeas, fava beans, or both. The dish is not just in Israel but throughout the whole Middle East. It is normally served in a pita or wrapped in a flatbread known as lava. It converted so popularly that McDonald’s for time served a ‘McFalafel’ in some countries. 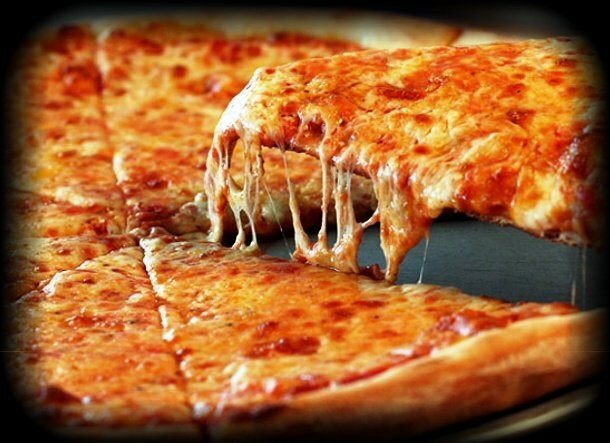 Pizza is one of the most popular food items all over the world, so there is no necessity to introduce popular food. Just go to history to invent the dish. The Pizza Margherita was made in 1889 when the Royal Palace of Capodimonte commissioned the Neapolitan pizza maker Raffaele Esposito to produce a pizza in honor of the visiting Queen Margherita. She favored a pie in the appearances of the Italian flag, red- tomato, green- basil, and white- mozzarella. Apparently, the food was named after her as ‘Pizza Margherita’. Ackee and Saltfish meal is also widely-eaten n the UK, Canada, and the United States although first introduced and most popular in Jamaica. 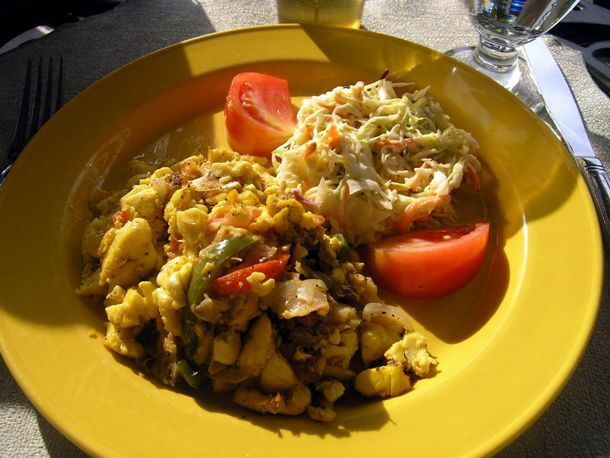 To make the meal, salt cod is sauteed with boiled ackee, onions, tomatoes, and spices. The food is normally served as breakfast as well as dinner with breadfruit, hard dough bread, dumplings. 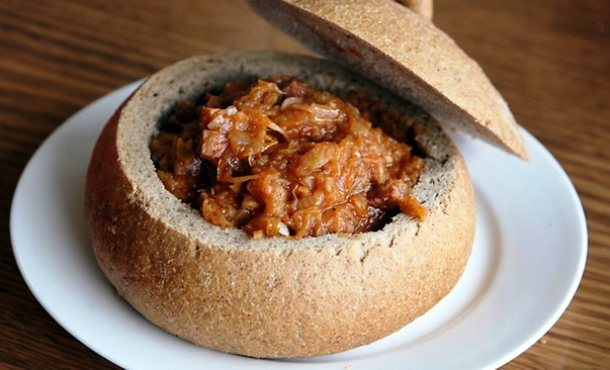 Bigos is a traditional meat stew typical of Polish, Lithuanian and Belarusian menus but only the Poles hold the meal their national food. The tasty stew is cooked from a wide range of elements such as cabbage, sauerkraut, various cuts of meat and sausages, tomatoes, honey, mushrooms, pepper, caraway, bay leaf, marjoram, and so on. 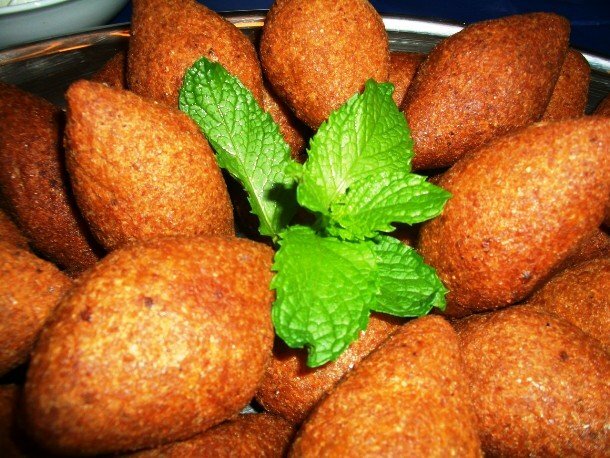 The national food, Kibbeh is not only famous in Syria but also famous Lebanon, Palestine, and Jordan. The ordinary Syrian dish is produced of cracked wheat, minced onions and finely ground lean beef, lamb, goat sometimes camel meat. The well-known species of Kibbeh is a torpedo-shaped fried, packed with minced beef and lamb. Another type may be formed into balls, patties and baked or cooked in soup. 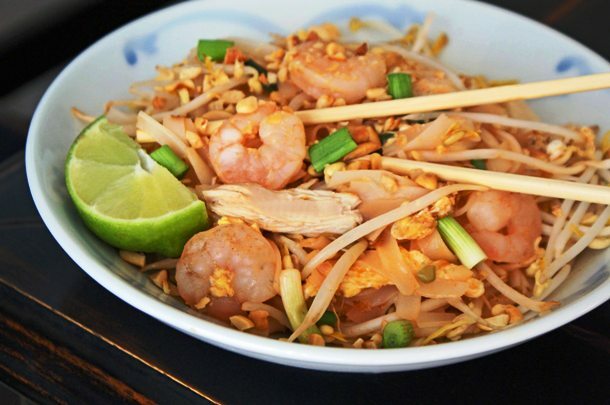 Pad Thai is a stir-fried rice noodle recipe usually served as street food as well as a meal in Thai restaurants. The delicious recipe is made of soaked dried rice noodles, which are stir-fried with eggs and chopped firm tofu, and flavored with a broad range of elements such as tamarind pulp, fish sauce, dried shrimp, garlic, shallots, chili and so on. It can be served with lime wedges and chopped roast peanuts. Depend on different regions, the recipe may also hold fresh shrimp, crab, chicken etc. 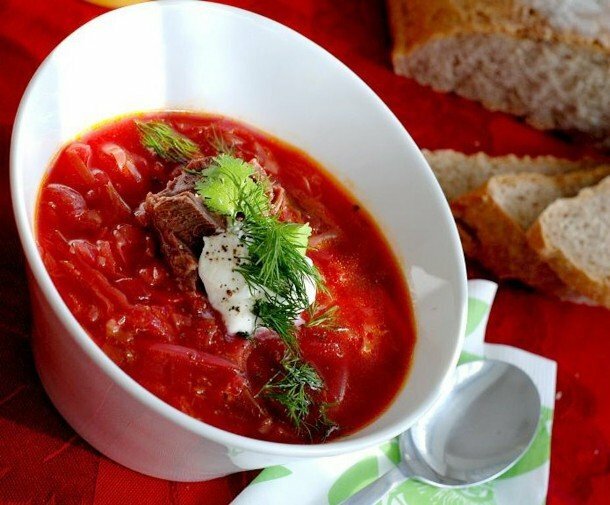 Borscht is originated in Ukraine but famous in several Eastern and Central European countries. The food is a thick and spicy soup made of beetroot as the major element. It is nearly always made of a beef, pork broth and it normally contains chunks of the meat used for the broth, as well as substantial starchy vegetables including potatoes and beets. Sometimes, carrots and peppers can also be added. The national food may serve as a main meal, but it is usually eaten as an appetizer with bread. Hamburger is a delicious food which is similar to pizza and pasta. It is popular and eaten all over the world but the country most linked with the USA. 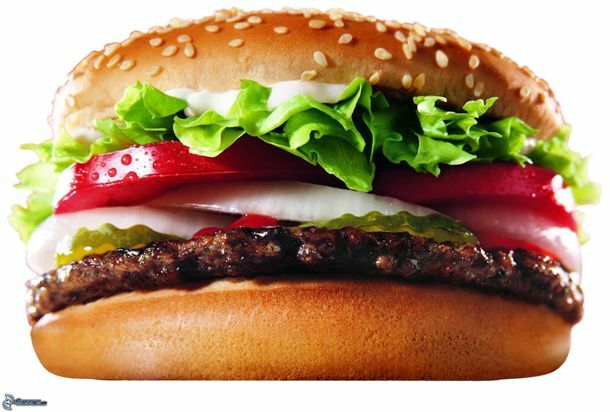 Everybody knows what hamburger normally made of but many of not exactly know that the term ‘hamburger’. The word originates from Hamburg, a German city. From which several people migrated to the United States. Arepa is regarded as the national food in Venezuela as well as Colombia but for sometimes which is made of ground maize dough and cooked flour. Different sizes, maize kinds, and added elements are used in different parts of the country. In Eastern Venezuela, the most common type is normally about three to eight inches in diameter and about 3 to 4 inch thick. 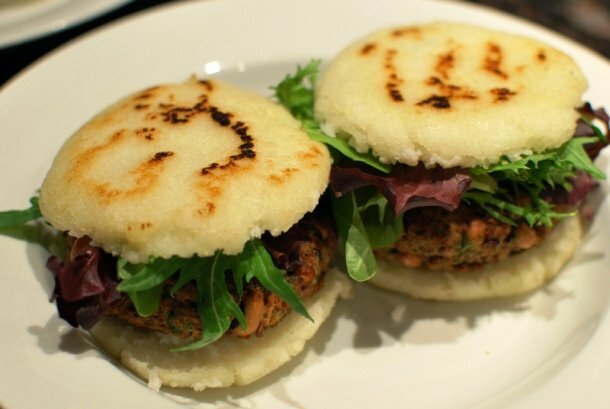 Now, the meal is frequently made in electric Arepa makers that decrease cooking time from 15 to 25 minutes. 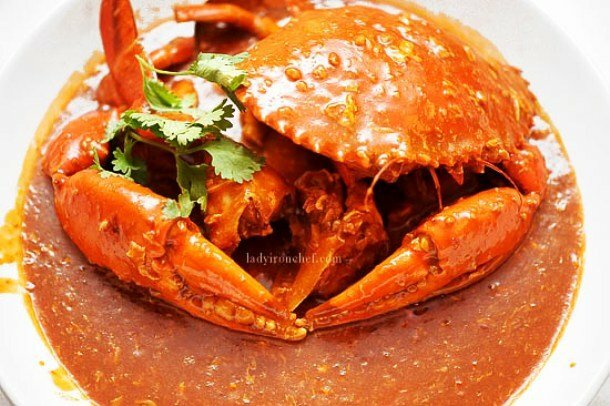 Chilli Crab is the national food items in the history of Singapore. The major element of the spicy seafood recipe is Mud crabs which are stir-fried in a semi-thick, sweet and savory tomato and chili sauce. Cable News Network (CNN) go listed the Singaporean specialty as one of the ‘World’s fifty most delicious foods’ at the number thirty-five.